Henna has been used in many cultures as a symbol of celebration. Today, it is also providing a beautiful healing therapy for clients going through health conditions like cancer and alopecia. 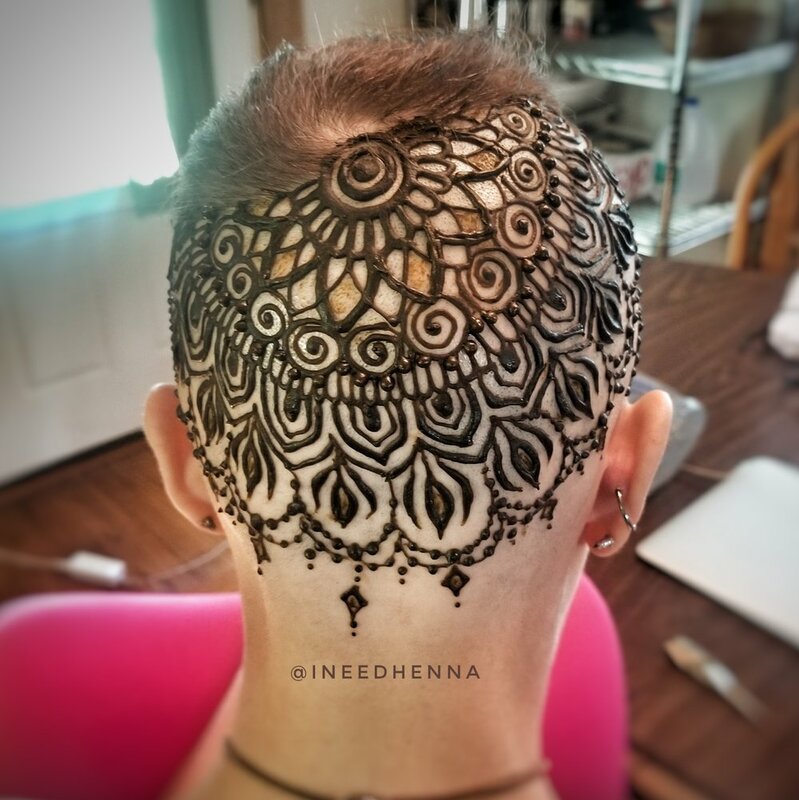 We provide clients with the opportunity to get henna at our salon location or in private at our home studio. Please let us know your needs and we will do our best to accommodate them.